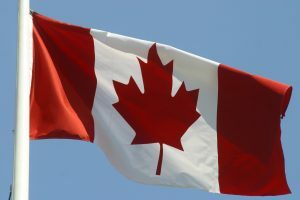 In Commonwealth v. Wright, the Supreme Judicial Court affirmed the defendant’s convictions for first degree murder and ruled that the judge properly denied the defendant’s motion to suppress statements he made to Canadian authorities. The basic facts were as follows. The defendant was a habitual abuser of drugs and alcohol. On the date of the killing, after imbibing Klonopin, marijuana, and beer, “the defendant began hearing a voice inside his head” telling him to kill his mother. In response, he slashed his mother’s throat. Later, he killed his grandmother in the same manner. He then drove to the Canadian border. He fled across the border into New Brunswick, but was quickly apprehended by the Royal Canadian Mounted Police. “The defendant was then taken by … border officers to an interview room. The defendant was not handcuffed and appeared ‘fully oriented.’” One of the officers advised the defendant “of his right under the Vienna Convention to speak with a member of the United States government. The officer also informed the defendant of his right to speak with … an attorney paid for by Canada … and the defendant indicated he would like to speak with” an attorney. Nonetheless, he proceeded to converse with the officers without the presence of an attorney and disclosed that he had killed his mother and grandmother. “Custody of the defendant was transferred to United States authorities.” Prior to his trial, “the defendant moved to suppress his statements to the Canadian authorities on the grounds that they were involuntary and that he had not been given his Miranda warnings [Miranda v. Arizona, 384 U.S. 436 (1966)], but his motion was denied.” The defendant was convicted of two counts of first-degree murder. Diminished capacity or lack of criminal responsibility are complicated but important potential defenses for a defendant to raise. If you or a loved one has a history of substance abuse or mental illness and are charged with a crime, you will need an experienced attorney to determine whether such a history could result in the ability to raise one of these defenses, and/or provide mitigation evidence to the court. Attorney Daniel Cappetta has represented many clients with substance abuse disorders and/or mental illness. He is extremely sensitive to these issues, and is committed to finding the best and most successful way to advocate for clients with this type of history. Call him for a free consultation today.